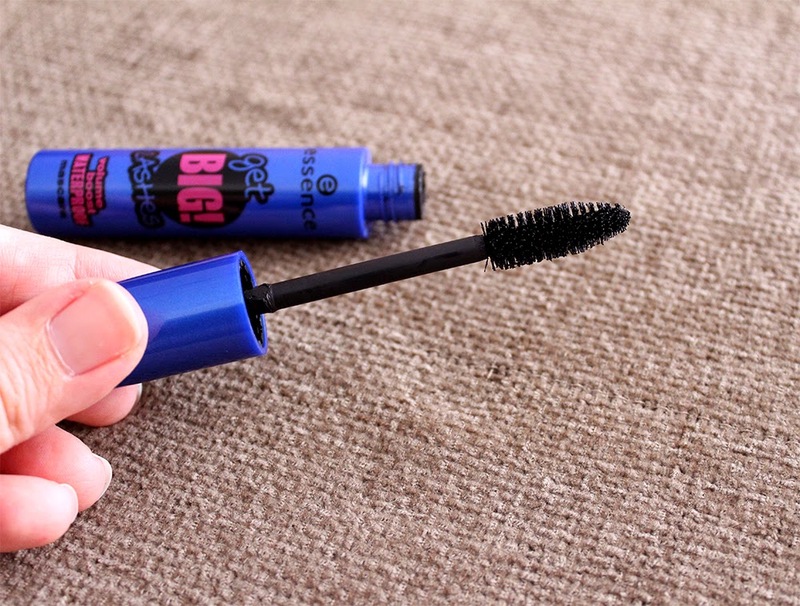 Carousel Coral: Essence Get Big Lashes Volume Boost Waterproof Mascara Review. 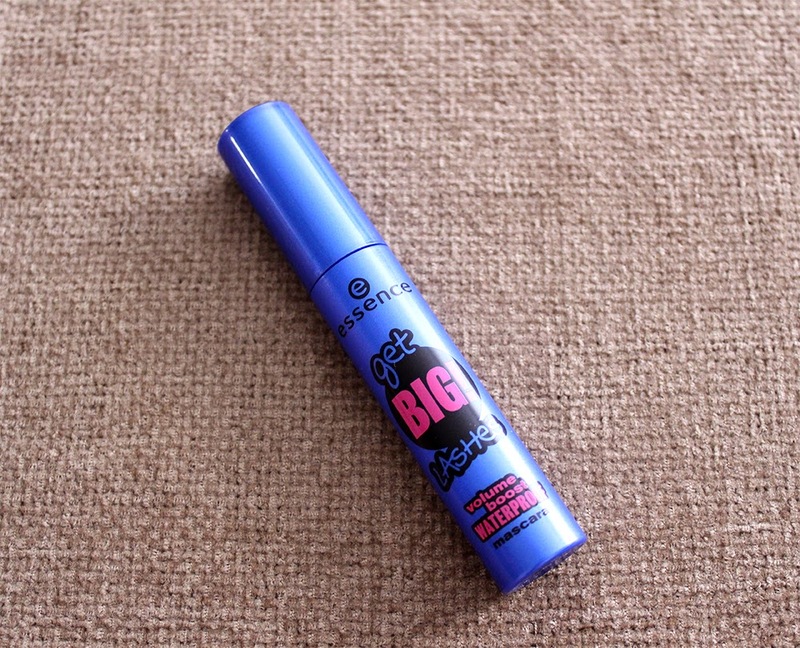 Essence Get Big Lashes Volume Boost Waterproof Mascara Review. Hello my lovelies, how is your summer going so far? I hope you're all having a great time! I know I haven't done a post in a while and to be honest I don't have any excuse besides that I've been very lazy and I'm out of ideas for posts, but I hope I'll get through that phase really soon! For now I have a review for you about a mascara that really surprised me by how good it is, and by how cheap it it! Also it's waterproof which makes it perfect for the summertime. I really like the simple blue packaging with the fun print on top, it makes it very appropriate for the summer. Now about the brush, let's just say that this mascara has a very boring/typical/old school but very huge brush which somehow works wonders! I would prefer if the bristles weren't that stiff, when I use a mascara I like to brush my lashes many times for more definition, but with this one I cannot do that. Don't get me wrong, it defines my lashes, it just doesn't define them as much as I would want to. The formula is a bit dry but that is something that I was expecting anyway, I find it reasonable for a waterproof mascara to have a dry formula. I haven't notice any smudging from the heat which is good but I haven't tested it yet with water to see if it's 100% waterproof. I always find waterproof mascaras to hold a really good curl on my lashes and this one is no exception, actually it's way better than others that I've tried in the past. Even though it says "volume boost" I didn't see much volume on my lashes but it did an amazing job at lengthening them, I don't think I've ever seen my lashes that long, I can easily compare it to my HG Sephora Lash Plumper mascara. This mascara is ridiculously cheap, it costs only 2.7 euros! In Greece you can find it pretty much at any Hondos Center store. -It adds length to the lashes and it holds curl for hours. - It doesn't smudge, even on high temperatures. -It has a huge and stiff brush which makes it difficult to really define the lashes. -It doesn't add any volume to the lashes. To be honest I never thought that I would even like this mascara, and that's because I've tried the regular Get Big Lashes, the one in the purple tube, and I completely hated it! So I thought that I would hate this one too, maybe even more because it's waterproof and I don't get along with waterproof mascaras, but I was so wrong. Overall it's an amazing everyday mascara, yes it would be even better if it added a bit more volume to the lashes and had a better brush but the length that it gives and the amazing curl it holds for such a low price, it's definitely a winner! 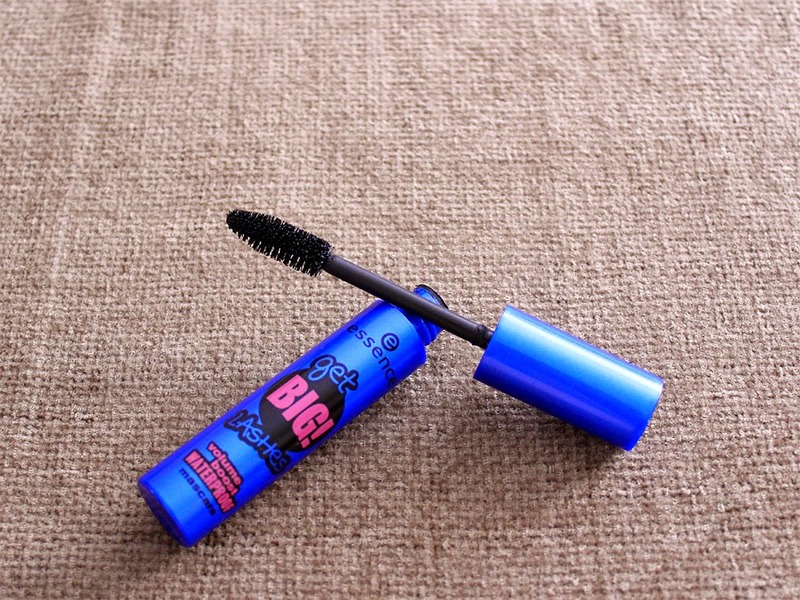 Have you tried the Essence Get Big Lashes mascara? Did you like it? I really want to know your opinion. I actually own this mascara and I completly agree with you. The brush is too big which can be hard when you want to define the lashes but overall it's great for just 2.7€! 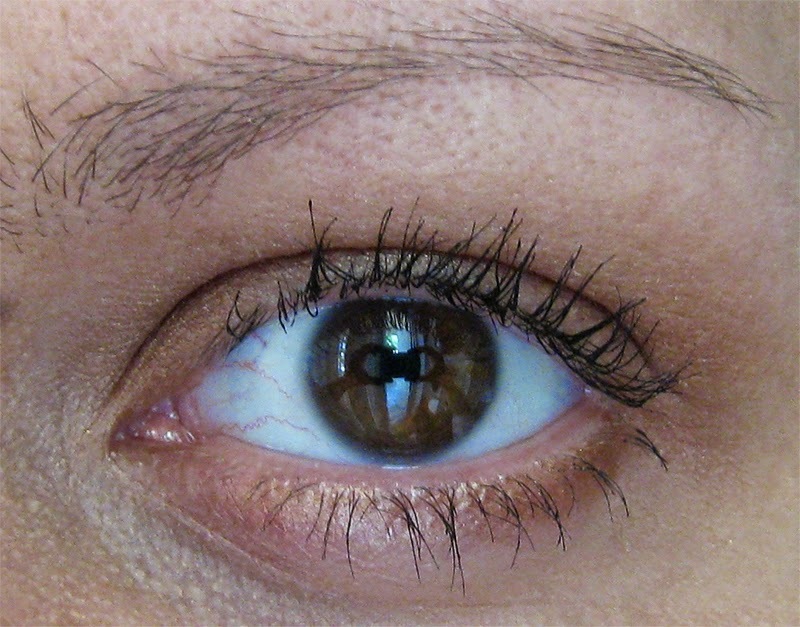 I bought this mascara last summer and I was totally in love with it.. This summer I forgot all about it!! Now I'll go re-purchase it asap! I'm not a big fan of waterproof mascaras but this one is an exception! Perfect for the summer.